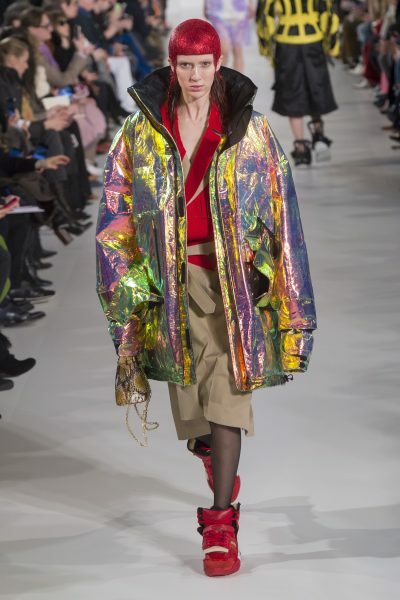 Maison Margiela Fall 2018 at Paris Fashion Week. 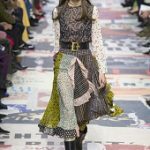 PARIS — Journalists, editors, stylists, buyers and bloggers who are planning to attend Paris Fashion Week should arrive earlier than usual, because this year’s shows are starting a day sooner Monday (Sept. 24), according to the preliminary calendar released today Wednesday (July 25) by the Fédération de la Haute Couture et de la Mode, French fashion’s governing body. DM Fashion Book recently reported that Christian Dior, typically the first big name to open Paris Fashion Week in recent years, has moved its show ahead one day, to Sept. 24, safeguarding that distinction(see it here). 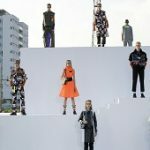 Its show is set for 2:30 p.m., with Jacquemus — who last year started showing his collection on the eve of the official start of the week — to follow at 6 p.m. 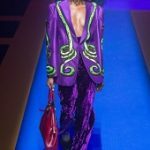 In an off-calendar special event, Gucci said it would stage its show at Théâtre Le Palace at 9 p.m., making for a somewhat disjointed opening day (see it here). The rest of the week will see a series of brands returning to the calendar with new designers. Hedi Slimane is due to show his first collection for women and men at Céline on Sept. 28 at 8:30 p.m. Casey Cadwallader will unveil his first full collection for Mugler on Sept. 26, while Yolanda Zobel will make her debut at Courrèges the same day. 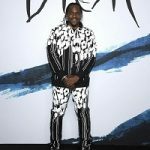 Also back on the calendar are Esteban Cortazar, after staging a one-off show at New York Fashion Week last season, and Cédric Charlier, who briefly decamped to New York in 2016 before switching to an off-calendar presentation format in Paris. Among those sitting out the season are Lanvin, Nina Ricci and Lacoste, who are currently without designers. Also absent are Carven, which has filed for the French equivalent of Chapter 11 bankruptcy protection last May 2018 (see it here) and Vanessa Seward, which is looking for a new investor after parting ways with contemporary brand APC. Undercover has also dropped off the women’s runway schedule and is switching to a presentation format. The new arrivals are French label Afterhomework, started by Pierre Kaczmarek and Elena Mottola as teenagers with no fashion training; Ukrainian designer Anton Belinskiy; Russian designer Natalia Alaverdian’s label A.W.A.K.E. and Swiss brand Ottolinger, designed by Christa Bösch and Cosima Gadient, one of the semi-finalists for this year’s LVMH Prize.